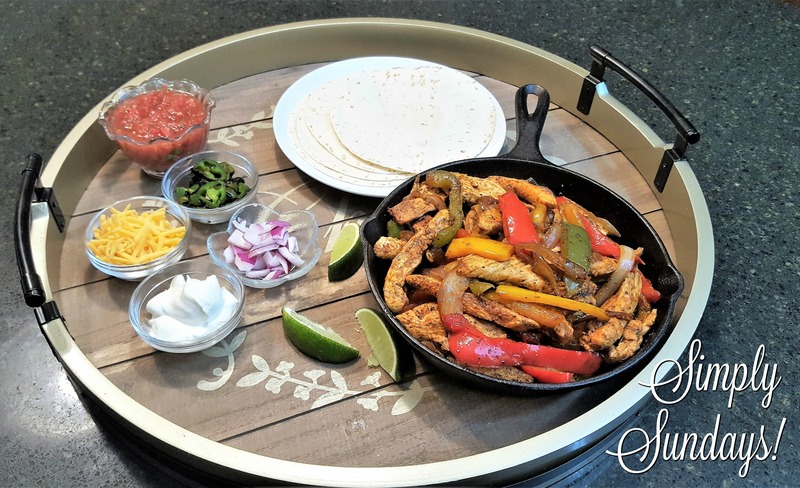 Easy Chicken Fajitas – Simply Sundays! Click on our link above to make your own Taco Seasoning! Delicious chicken that you can serve fajita style or even in quesadillas! We served this with shredded cheddar, sour cream, jalapeno peppers, red onions, lime wedges, flour tortillas and our Garden Fresh Salsa!